Will Meghan Markle (right) wear a tiara? "And will Harry be clean shaven? He's 5/4 to get rid of the beard - potentially a decent value shout given you're supposed to be sans facial hair when in military garb." Unless you've been living underground for the past few months, you're probably aware that on Saturday Prince Harry will marry the American actress Meghan Markle at a ceremony in Windsor. Harry is only sixth in line to the throne but that hasn't stopped the UK media hyping the event for several months. All week, the question that dominated was - will Meghan's father attend the wedding. The answer is "no", as Thomas Markle and, on Friday morning, the slightly odd news emerged that Prince Charles - and not, as predicted by many (she was rated a 2/5 shot), Meghan's mum Doria - will walk the bride down the aisle. Already, then, this wedding has produced a surprise. Will there be more? And could you profit on Betfair? Royal betting is a tradition on Betfair, with markets previously available on royal engagements, births and names of children. For this Saturday in Windsor, the Sportsbook has 12 markets. Will it rain? Whitney Houston for first dance? The bride to wear a tiara? In the first dance betting, Whitney Houston is the favourite artist at 4/9. The song that bettors expect the couple to choose is not Houston's "I will Always Love You" but actually her earlier hit, "I Wanna Dance with Somebody." 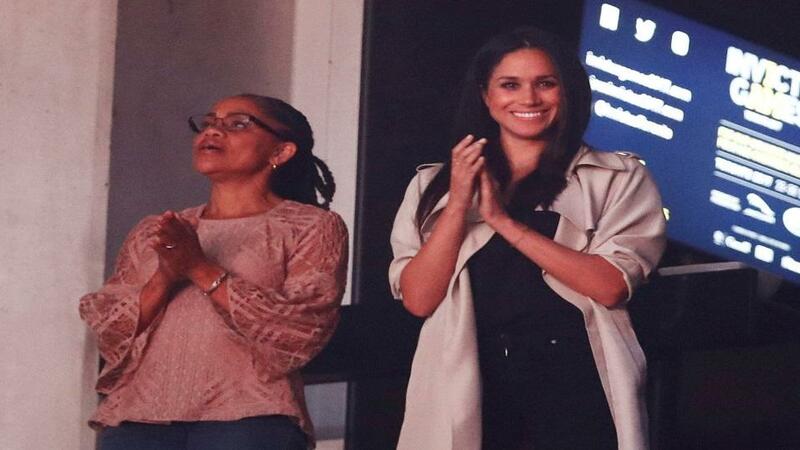 Markle is reportedly a fan and has said that, when she's happy, she listens to Whitney. Presumably, Markle will be happy on her wedding day, so the artist is a worthy favourite. Among the other markets available, are the colour of the Meghan's mum's hat and the colour of the Queen's hat. Likewise, you can have a flutter on the bride's tiara - apparently there are different types and "The Spencer Family Tiara" is 1/2 favourite - and the groom's outfit (military uniform is the 1/7 jolly). And will Harry be clean shaven? He's 5/4 to get rid of the beard - potentially a decent value shout given you're supposed to be sans facial hair when in military garb. The guest list is a fun one to bet on, with Serena Williams 1/14 to be there, Andy Murray 5/4 and Rory McIlroy 2/9. As well as sports people, there's a host of actors, artists, politicians and the Kardashians for you to bet on. Good lord. One minute you're deciding whether to wear a tiara. The next minute, you're expected to have a baby. This is the lot of the modern princess. Traditionally, the royals don't hang about, which is why Betfair are already offering a market on the birth of Harry and Meghan's first child. You can bet on the year of the child's arrival, with 2019 the favourite at 1/3. Prince Charles and Princess Diana had their first child, Prince William 11 months after their wedding. Three decades later, William and his wife Kate waited a little longer, marrying in April 2011 before their first child, Prince George, arrived in July 2013. And you can bet on the name of the couple's first child. The field is large and unpredictable to say the least, although we note that "Camilla" is a lively outsider at 125/1.